Keeping calm at all times takes practise but you can do it, and will find that your confidence and demeanour will carry you through. Progress may seem slow but in reality so much is taking place. You are looking at worldwide events that are slowly but surely pushing the dark Ones back, and preventing them from being able to prevent good progress being made. What only few of you will know is that the Lightworkers operate at a high level, where they have the influence and power to set moves in position that will further advance matters to the benefit of the Light. There has always been a plan to oust the dark Ones who had reached a stage where they were lulled into false confidence into believing that they were close to taking over control of the Earth and its people. The plan has always been to see that once Humanity passed the marker, those souls who were ready would in any circumstances successfully reach Ascension. 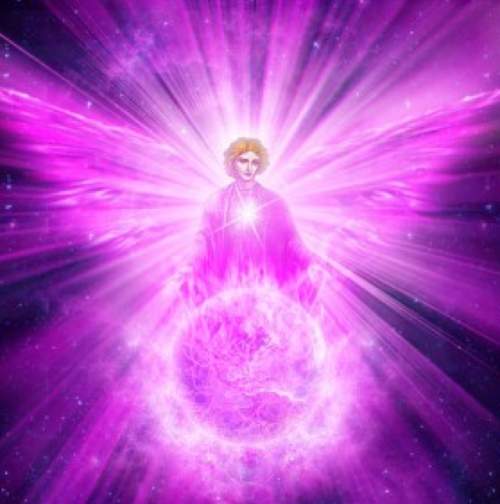 If you could see the many souls overseeing your activities, ensuring your success and protecting you from the negative forces you would have no doubts whatsoever where Ascension was concerned. It is a very special time in your history as although few have recollections if any of previous lives, you have spent many thousands of years trying to lift the vibrations sufficiently so that you could pass the marker, and continue moving towards Ascension. Can you imagine the joy that rippled through this Universe, as you have yet to realise what a magnificent achievement your progress has been. It matters not that you have been helped along the way and that has largely been to ensure you were not interfered with, although for karmic reasons you have had to face many challenges on the way. Your friends from outer Space are drawing nearer and nearer to you and as you have already informed, are eagerly waiting to greet you on the Earth and welcome you to the higher dimensions. Where in the past the dark Ones have infiltrated many aspects of industry and financial companies, they have in many instances been replaced with those who are of the Light and slowly but surely the balance is changing in their favour. It obviously takes time to undo what has been built up over a very long period of time, but success is taking place and it will continue until they are back and completely in charge. You will probably know that nothing of importance happens by chance, as all happenings are planned to help those involved to experience according to their needs. It may seem an impossible task to get the appropriate people together for such occasions and indeed it takes quite some planning. You are “persuaded” by your Guides to take certain actions that bring together those needed to play out the karma involved. Believe it or not, we can assert such control over you that you will do our bidding, but that is only in special circumstances. Now that Lightworkers have been given a clean sheet where karma is concerned providing as you would say “keep your nose clean” – there is no reason why you should not continue to keep it that way. Certainly anyone who has lifted up their awareness, and is doing their best to live a positive life and avoiding being drawn into situations that are of the lower vibrations, will experience a trouble free life. You will still be tested but because of your understanding and awareness, you are very unlikely to drop your guard. Perhaps one of the more difficult challenges is to keep your cool when confronted by situations where you may lose it. Keeping calm at all times takes practise but you can do it, and will find that your confidence and demeanour will carry you through. You are a great soul masquerading as a human Being, and you have limited consciousness mainly due to the low vibrational level you reside in. However, as the vibrations lift up higher and higher you will find that you have an increased level of consciousness, and gradually you begin to recall more about your true self. The changes are preparing you for Ascension when you will begin to know your true self. You are already a multi-dimensional Being as your Higher Self resides on the other side of the veil. Hitherto you have been unaware of your true potential but the time will soon come to merge with your Higher Self. You are a God in the making and that is your destiny, but for the meantime you will be bound by the happenings on Earth. Through it all you will undoubtedly evolve very quickly and as you do will get immense help all along the way. By now those of you who have lifted your vibrations up will find that you can be in ones that are unsettling, yet can overcome them through your sheer power of concentration and control. Eventually it will be second nature to you and in any event the negative energies will weaken and have less affect upon you. You may find that as you progress that people like to be around you as they may not realise why, but they are comfortable and reassured by your gentle and loving vibrations. It would not take a lot of imagination to realise that your auric emanations are such that people can enjoy your presence, and feel the calmness and love that you project. Not just people but even animals can sense the upliftment from the energy that you give out. At some stage it will even have a healing quality and certainly make people feel good by being around you. Dear Friends, time flies by once again I am preparing to go on my annual trip to see my two sons who both live in Devon, Kent. So please note I shall be away from Friday the 14th September and taking a break until my next message that will go out on the 5th October. A few weeks in politics can see many changes so who knows what may happen in the meantime. The fact that the Light is now more powerful than the dark Ones, who have had their power curtailed should lead to a quicker end to their ability to interfere with the progress of Humanity towards the time of Ascension. We are not normally given much information as to the progress that is being made, but earlier signs suggest matters are developing in a positive way. Various updates particularly those from David Wilcock are able to bring us the latest developments, and I recommend his video “On Ascension”. Personally I do not feel anyone can yet pin down the year that Ascension will take place, but in general terms it seems that it could be as early as the late 2020’s to the early 2030’s. If correct, that is encouraging as in reality it is so near to happening. I know Lightworkers will keep spreading the Light, and collectively they do have a big influence on what is taking place. So well done everyone, it has been a long arduous path to follow, but the prize at the end of the rainbow is well worth waiting for a little longer.